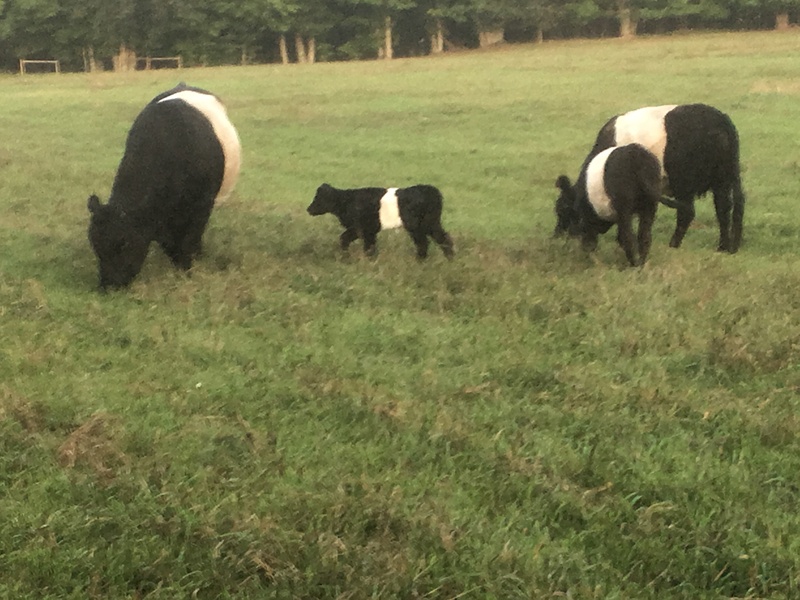 Continue expanding our Galloway cattle herd. Ollie, the bull, has been on the job. Purchased additional land on 46 Road that produces hay and grazing the cattle. In 2017 the Greenhouse produced some of the finest baskets and bedding plants in northern Michigan. In fact one of our customers is the wife of the manager at a big box store that sells baskets.We expect 2018 to be even better! that had to be bottle fed. We expect 2018 to be another busy year. We have cleanup the fields so we can produce our own hay. To accomplish that we had to remove years of random growth pine trees and add lime back to the soil. The cows, horses and chickens have all contributed enormous amounts of organic fertilizer. It has been spread in the hay fields already this spring. Brenda has decided she needs a garden shed and good fences for her garden. The fences are needed because a couple of calves have decided that her vegetables taste better than hay. This fall we expect to have 10 head of beef ready for sale. The steers and Heifers will be 18 month old, having been mother raised and grass fed throughout their life. 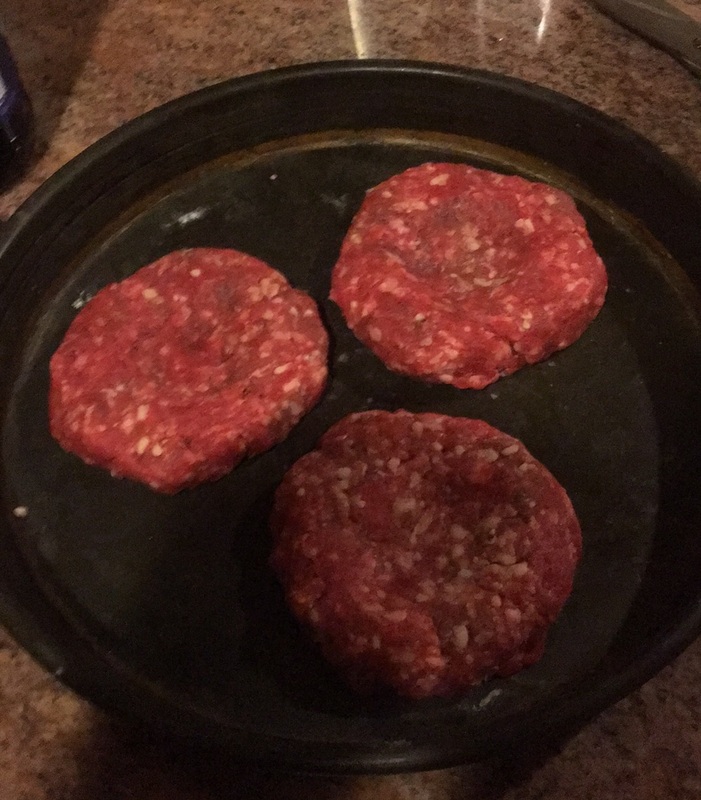 Less may be available because of prior sales as livestock. We consider ourselves stewards of this land. We are so blessed to have the ideal land for our type of farming. 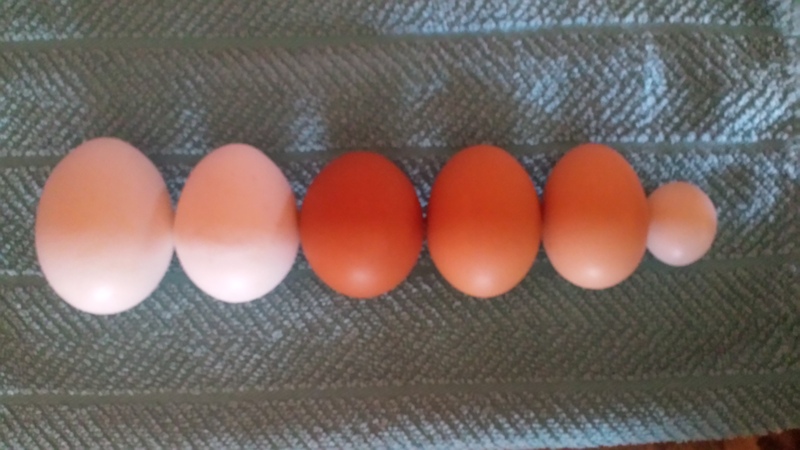 From this land, we are able to produce organically grown eggs, apples (fed to cattle), chickens, syrup and cattle. This land is unique. It has wonderful pasture land, abundant water, organic-rich materials for flower basket production and dry-weather pasture. We anticipate that, even though it will require an enormous effort, the best flowers, eggs, apples, poultry, syrup and beef will be produced for the community. Come visit us this year or call us for other than flowers and enjoy the bounty that the farm produces. This farm was established over 100 years ago by the Peter Olaf Siglin. The original farm house was located where the orchard stands today. In 1937 farm was passed from Peter to his son Nels, who expanded the farm to over 200 acres. 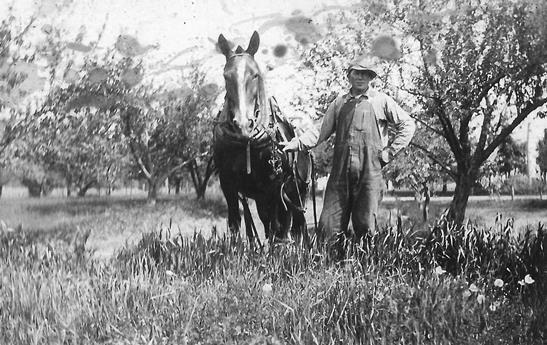 The current orchard was established by Nels Siglin (shown in photo). Many of the trees shown in the background of the photo are still standing today. The orchard contains a rich variety of heritage apples. The apples range from red delicious to hard to find winter storage apples. Winter storage apples are hard and basically unusable when picked in the fall; but when stored in a cellar, become usable in about January. These apples have amazing storage qualities. The orchard used to extend almost 1/4 of a mile along 46 Road. Many of the trees to the west have died off from being in a cold valley. The farm was well-situated in the community since 33 Road and 46 Road were the crossroads for most of the travel from Cadillac to Hoxeyville and Cadillac to Grand Rapids. The area grew and was soon called Benson Corners - named after Swan Benson, provider of land for the schoolhouse and owner of the general store. 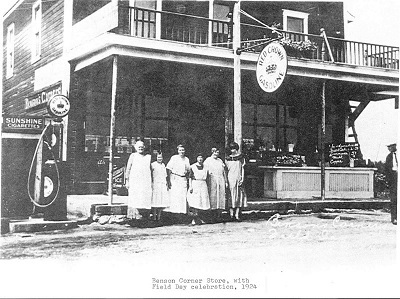 In fact, there were two stores located in the community, both owned by Benson Family members. The community and the farm continued to prosper for many years. 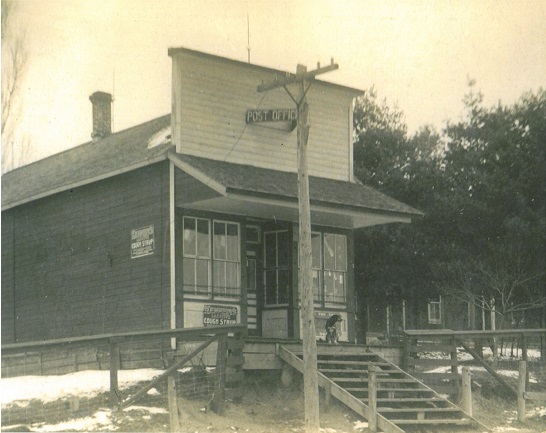 A post office was soon added to the 46 Road store, and Swan Benson was named the first Postmaster. If you travel down 46 Road west from the orchard, you will see a red house on the right side - this was the Benson's home. The store was on the property at the edge of the road 30 yards to the west. 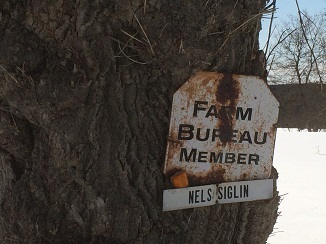 After Nels passed in 1977 and the farm transferred on to his son Rex, who ran the farm for many years. The farm continued to raise crops, chickens, cattle and apples and was highly regarded for the fine work horses that were utilized. There was an old-style barn to the west of the house that housed the animals. Rex is noted for being a warm-hearted man who served as township constable and firefighter for many years. He always had a soda to enjoy with a visitor. As Rex's health declined, he was less able to maintain the farm. He sold off parcels, other than the home place, as a way to reduce the workload. In 2006, he retired from farming and auctioned off his animals and equipment but still wanted to keep the original property together. One day while talking with Rex, the subject came up of us taking over the remaining farm. 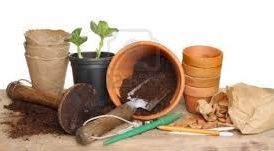 Brenda loved the idea as a way to get back into the greenhouse world. So here we are.